Origin and Habitat: Yungas region and Inquisivi provinces, on both sides of Río La Paz in La Paz, Bolivia. It grows: It grows at elevations of 1,000 to 1,100 metres above sea level. Habitat and Ecology: It grows in Yungas forests near the La Paz river. This species is common within its restricted range. Description: Cleistocactus ritteri is a shrubby columnar cactus, branching basally with more or less erect branches, over 1 metres tall. It has attractive bristly soft spines and lemon yellow blooms. Stems: Slim, erect or arching, bright green, to 1 metre tall, 2-3 cm in diameter. Areoles: Close set, at first dark brown becoming greyish white. Central spines: 5, yellowish, to 1 cm long. Radial spines: As many as 30, fine, hair-like white up to 3 cm long (mostly less than 1.5 cm long). The dense spination it possesses, which serve to protect it from the harsh sun common to its native habitat. 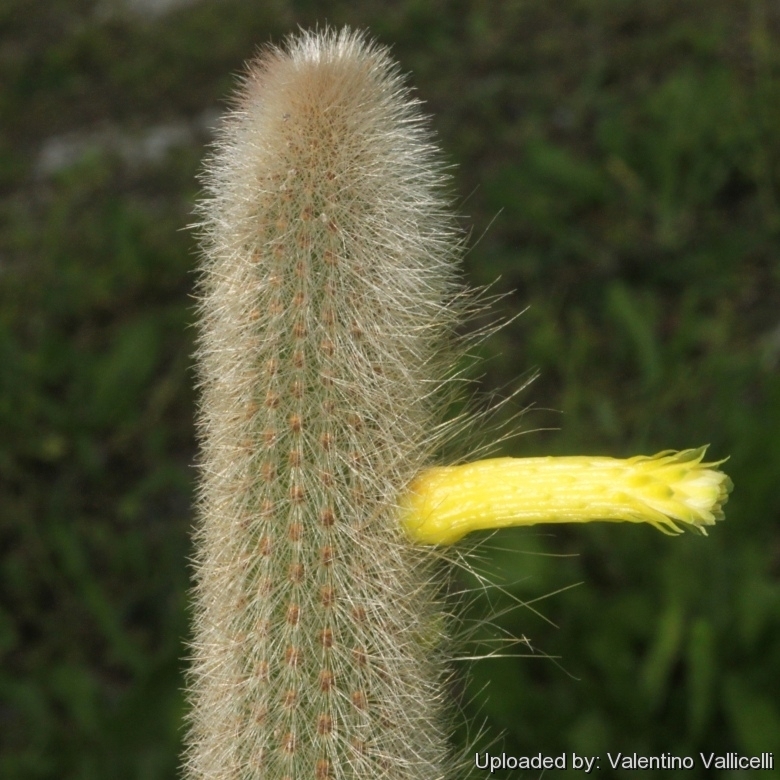 More precisely the spines benefit the plant by reducing sun exposure and by trapping a layer of air next to the cactus body. This helps to cool the plant in the summer and keep it warm in the winter. Flowers: Pointing sidewards or slightly downward, slightly bent, greenish yellow to lemon yellow, to 4 cm long with green stigma lobes. Fruits: Globose, yellow, to 1.5 cm in diameter. 5) Lowry, M. 2013. 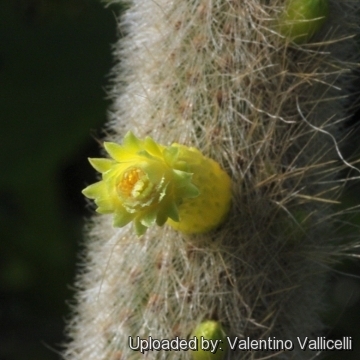 Cleistocactus ritteri. In: IUCN 2013. “IUCN Red List of Threatened Species.” Version 2013.2. <www.iucnredlist.org>. Downloaded on 24 April 2014. Cultivation and Propagation: Cleistocactus ritteri is a a much decorative hardy cactus.